45+2" 0 - 1 : What a time to score! David Silva takes the free-kick and there's so much spin and pace on it that Laporte just has to let it hit him and fly into the far corner. 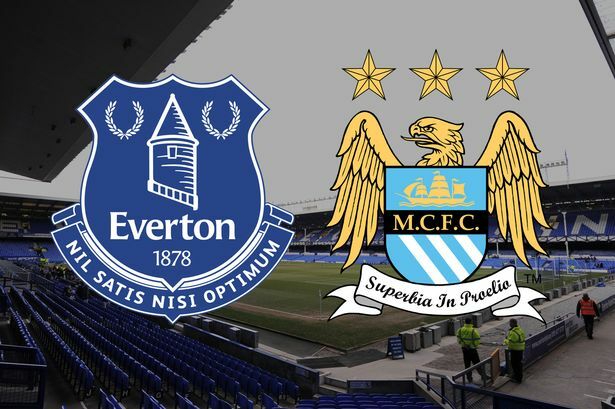 Man City in front on the stroke of half-time, but Everton's set-piece woes continue. Everton FC : Pickford (6), Kenny (7), Zouma (7), Keane (6), Digne (7), Gueye (6), Davies (7), Gomes (5), Walcott (5), Calvert-Lewin (6), Bernard (6). Subs: Sigurdsson (5), Richarlison (6), Tosun (5). Manchester City FC : Ederson (7), Walker (5), Stones (6), Otamendi (7), Laporte (7), Gundogan (8), Fernandinho (6), David Silva (7), Bernardo Silva (7), Aguero (5), Leroy Sane (5). Subs: Sterling (7), Jesus (7), De Bruyne (n/a). Everton have conceded more goals from set pieces than any other Premier League team in all competitions this season (19). Manchester City have scored with their first shot on target in 15 Premier League games this season - six more than any other team. 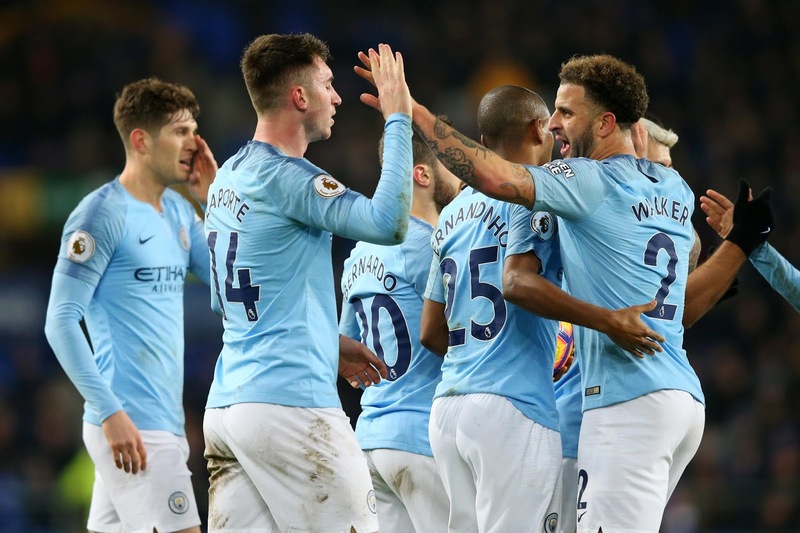 All four of Aymeric Laporte's goals in all competitions for Manchester City this season have been headers from set pieces in away matches. Everton are yet to win a Premier League match when conceding first this season (P12 W0 D2 L10). Marco Silva has now lost five Premier League games against Manchester City - two more than he has against any other opponent. Everton made five line-up changes for this match - their most between Premier League matches under manager Marco Silva. Manchester City have won 10 of their last 11 matches in all competitions (L1), scoring 39 goals and conceding just five. Everton have lost three of their last four Premier League home games (W1) - as many as they had in their previous 23 at Goodison Park (W13 D7 L3). Manchester City have opened the scoring a league-high 22 different times in the Premier League this season and no side has lost more games than the Citizens after scoring first this season (3). However, Everton have won none of their 11 Premier League games in which they've conceded first this season (D2 L9) - only Huddersfield have failed to win more often after conceding first (16). Manchester City boss Pep Guardiola has won all four of his Premier League meetings with Everton's Marco Silva, by an aggregate score of 15-3. Everton FC will miss Phil Jagielka (knock), Leighton Baines (rib) and Yerry Mina (foot) while midfielder Idrissa Gueye will give Marco Silva a squad boost with a return from a groin injury and left-back Lucas Digne from suspension. Manchester City will have a very fit squad with just two injuries. Captain Vincent Kompany, who is out with muscular problem and there is no timescale on his return and Claudio Bravo (Achilles) also is a long-term casualty.